When you’re in deep depression or anxiety, getting the right foods may be the last thing on your mind. Or you may be eating yourself deeper into depression with the wrong types of food without even knowing it. According to DrAxe, your body would naturally crave for foods that are high in carbohydrate, fats or sugar as a response to the stress you are going through. While you may satisfy your food craving, the choice of food that you take could aggravate your stress level which leads to a prolonged state of depression and anxiety. The whole concept of fighting depression and anxiety with foods is to consume foods that balance your neurotransmitter. The neurotransmitter is a brain chemical that enables the flow of information between approximately 86 billion neurons. It is crucial in regulating emotions, appetite, sleep, energy and other functions in the body. The best foods to take when you’re feeling depressed often contained one or more of these. One of the contributing factor to depression and other mood disorders is the depletion of serotonin, a “happiness hormone” neurotransmitter in the brain. The decrease in serotonin often resulted in aggressive behavior and influence mood negatively. The lack of tryptophan could lead to depression where negative emotion processing is intensified. You’ll experience a great degree of sadness and hopelessness. The increase of tryptophan reverses such depression symptoms. You can either get tryptophan in supplement form or from some of the foods listed below. The lack of vitamin B, particularly B-12, is known as a contributor to depression. Vitamin B-12 synthesizes myelin, a fatty substance that aids the maintenance of nerves connectivity. The lack of Vitamin B-12 can lead to serious neuropsychiatric problems. Dr. Kelly Brogan’s article mentioned the case of an elderly woman who was prescribed with antipsychotic and antidepressants for weeks with no improvement in sight until the doctors take a quick check and realized the patient suffered from Vitamin B-12 deficiency. The patient recovered after two months of receiving B12 treatment. When you’re depressed, you always have a craving for sugary sweets. It is well known that researchers have the linked the drop of serotonin to carbohydrate craving. There are also experts who argued otherwise. The fact still remains that you will have a strong need for carbohydrates when you’re hit by depression. But did you know putting the wrong type of carbohydrates into your body could worsen your depression or anxiety? Consuming refined carbohydrates could lead to further aggravation of depression instead of getting out of it. 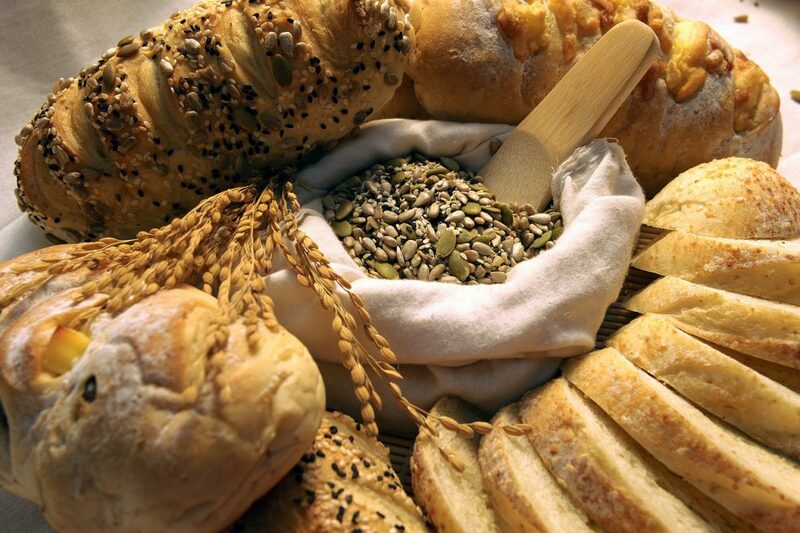 Instead, satisfy your carb craving with natural carbohydrates foods like vegetables, beans, and whole grains. There is growing evidence that Omega 3, not only prevent the occurrence of heart attacks but works well in treating depression as well. Omega-3 enhance the traveling of signals in our brain. DHA made up a critical part of our brain while EPA plays a vital role in preventing neuroinflammation. Studies on patients with severe depression who are treated with fish oils rich in Omega 3 shows dramatic improvement in their condition. There are also studies that recommend a taking a higher ratio EPA to DHA as they found EPA plays the more important part in countering depression. They are normally found in fish or you could get it as a supplement from Amazon. The critical path of messages in our brain relies heavily on healthy neurotransmitter. And neurotransmitters are made up of amino acids that are found in protein. Our body does produce protein, but they do not contain the amino acids that are needed to maintain the neurotransmitters. Essential amino acids came from protein that we have to consume externally. Meats and dairy could be better options than plant proteins as they contain comparably more essential amino acids for synthesizing neurotransmitters. I’ve never realized how food could affect our mood until I stopped caffeine for a week and start eating more greens. There is so much more positive energy when you plan your diet well. Here’s a list of 21 foods that could help you fight depression and anxiety. 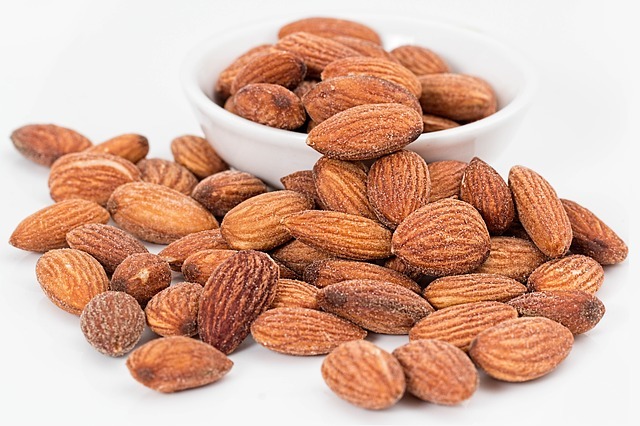 Apart from protecting you from heart disease, almond contains both tryptophan and Vitamin B that are vital in boosting your neurotransmitter. To get the most out of almond, you’ll want to take it as natural as possible. You’ll want to get unprocessed almond rather than packaged almond milk. It seems you can never go wrong with taking an apple every single day. Rich with potassium and Vitamin B, apple provides the boost in keeping your neurotransmitters up and running. Furthermore, a research has pointed out that consuming apple juice could be the secret to improved memory. Besides being known for keeping your skin smooth and youthful, Avocado is rich in tryptophan and Vitamin B, both vital in keeping your brain cells healthy. You’ll just need to take a small avocado each day for some mood-boosting effect. Or you can try avocado oil for your cooking. While this may come as a surprise to you ( and me) as red meats are often associated with the causes of many health diseases, there is a study that actually linked eating beef to boosting mental health. Beef contains the important Omega-3 fatty acid that supports healthy brain cell. That said, you’ll want to choose grass-fed beef for maximum health benefits. The next time you are feeling the blues, pop in a few wild blueberries that will lift your mood up again. 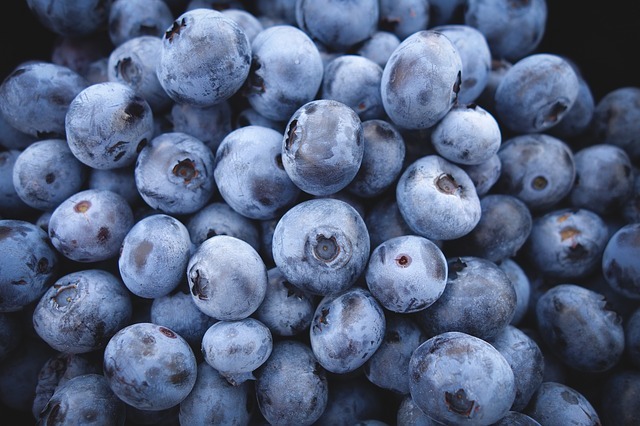 Blueberries do that by boosting the production of serotonin in your brain. Besides keeping depression and anxiety at bay, blueberries are known to provide a great improvement to cognitive and neurological health. Chamomile tea is well known for its calming effect for restless nerves. Besides providing a natural remedy for insomnia, chamomile has been proven as an effective natural anti-depressant in a published study. Although it’s available in capsule form, I’ll always prefer a slow sip out of a fragrant cup of heart-warming chamomile tea. Originally grown in Mexico, chia seeds boast high medicinal value and are known as an endurance booster in the historical Aztec empire. Rich with magnesium, chia seeds is also a key natural food for treating depression and anxiety. It is easy to incorporate chia seed in your meals or drinks as it is flavorless. Read my experience with taking chia seeds here. Romantics aside, dark chocolate is the new drug for anxiety and depression. Recent studies have shown that polyphenols, a compound commonly found in cocoa, has a calming effect on the high level of stress and anxiety. As for choosing the right mood-boosting chocolate, the darker is always better as polyphenols are absence in white chocolate. More reason to start your breakfast with a sunny side up or your favorite omelet. Eggs are rich in amino acids, Omega 3 and choline, all critical to ensuring a well-functioning nervous system. If you’re suffering from diabetes or high cholesterol, you’ll want to eat no more than 2 eggs a day, or only eat the egg whites, to be on the safe side. While there are no conclusive studies on how garlic could cure depression, it is a common belief that the antioxidant quality of raw garlic provides protection to brain cells from free radicals. Dr. Henry Emmons, states that garlic boosts the production of serotonin, in his book, “The Chemistry of Joy”. Nevertheless, garlic has been proven to have numerous benefit on our general health. There are studies that suggested drinking milk could boost brain function against depression. A preliminary study shows that lactium, a protein found in milk, could provide a calming effect on stress and anxiety. 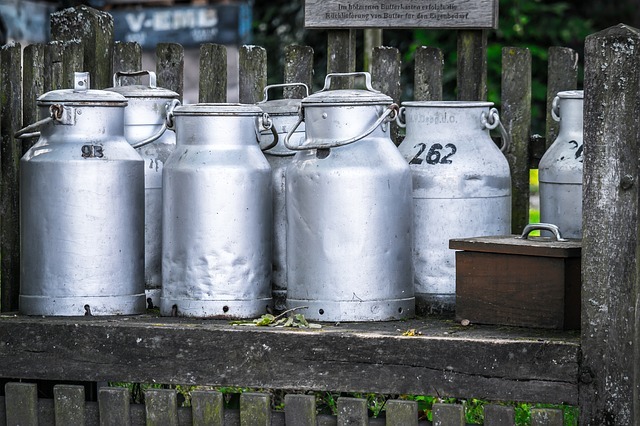 However, you may want to visit your nearest farm for fresh and raw milk, as there are unconfirmed findings that processed dairy could actually aggravate your anxiety. To be precise, ‘magic mushroom’ or psychedelic mushroom is believed to cure anxiety and depression. It contains psilocybin, a drug-like compound that with fast-acting anti-depression quality. The psychedelic mushroom may be illegal in certain states and country. And it’s better to consult your therapist before taking this ‘magic mushroom’. If you’re on a strict no-carb diet just to get the perfect figure, you may notice the stress and anxiety that often comes with it. As you cut off the supply of carbohydrate, your body lacked one important ingredient in the synthesis of serotonin or the “happy hormone”. With oatmeal being a low-fat carbohydrate, it will fit into your diet without adding to your waistline. Orange is packed with a high content of Vitamin C and folate, that leads to the brain providing a healthy quantity of neurotransmitter dopamine and serotonin. Besides the fruit itself, there is a study that shows the effectiveness of orange aromatherapy massage in calming anxiety. Despite being a well-known aphrodisiac, oysters are particularly rich in Vitamin B-12 and zinc, both key components that keep your brain healthy. It’s also an immune system boosting food that is rich in antioxidant. You’ll want to have it right from the sea if possible to get the most out of it. Salmon has a high content of Omega-3 fatty acids, that are critical in maintaining your neurotransmitters. A study has shown that consuming 15 ounces of salmon could lead to more than 20% reduction in stress and anxiety. 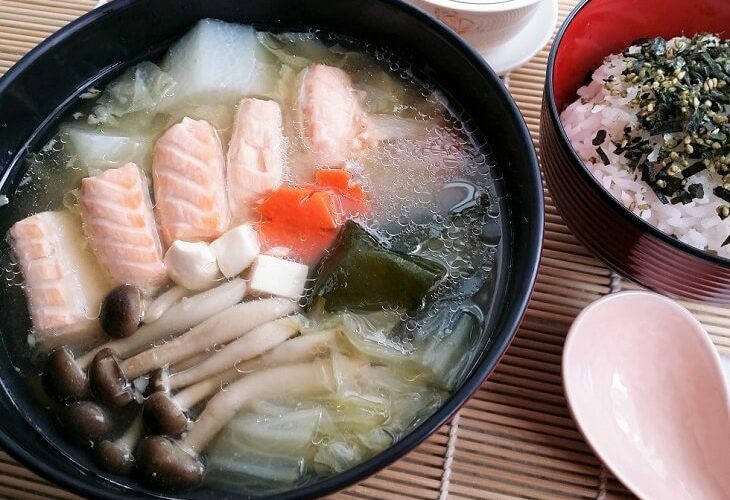 If you are not accustomed to raw salmon, you can turn it into a Japanese soup. (Click image for recipe). Spinach will deliver the Popeye punch to whatever anxiety you’re feeling. This simple leafy green is rich in tryptophan, that turns into serotonin in your body. It’s a great mood-lifting food that you can easily make into a salad at your convenience. People who take tomatoes in part of their daily meals are less likely to suffer from depression, as shown in a study conducted on Japanese elderly. Tomatoes are rich in lycopene, an antioxidant that protects and heals nerves cell. If there’s a good reason for you to enjoy turkey outside of Thanksgiving dinner, it’s the mood-boosting amino acids provided by the protein that will keep your stress level down. Don’t worry if you can’t get turkey at your local store, it seems that pork chop or caribou contains much higher tryptophan than turkey. Walnut is perfect for nuts lover battling anxiety and depression. With a high concentration of Omega-3 acids, this brain food promotes better communication flow between your brain cell. It also plays a vital part in improving memory and preventing brain aging. I always believe that prescription drugs should always be the last resort in treating depression and anxiety. Most drugs only provide temporary relief and prescribers often worried about side effects, and not without a good reason. Even if you’re on a prescription, eating well is a good habit that will hasten your path to recovery and boost your resistance for relapse. I hope this mega list of foods for depression and anxiety could help you along the way. Feel free to share this post if you think it could be of benefit to your friends and family as well. Also, read how I overcome my social anxiety disorder without any prescriptions or therapist. Have you tried any brain food that I left out on the list? 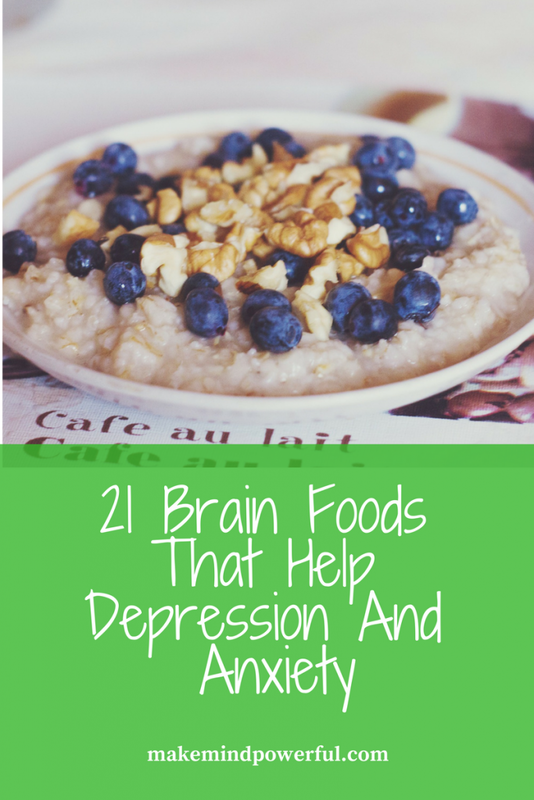 Or have any of the foods listed helped you in dealing with depression and anxiety. Feel free to share your thoughts here. Some really interesting foods on here that I had no idea were good for anxiety and depression – especially beef (like you say) and milk! Very surprising. Thanks for checking out. And yes, skip the oysters if they are causing allergy. I really appreciated this article. Rather than what I was expecting, which was a simple list of 21 items and minimal information on how they worked, the preface to the list was incredibly valuable. Understanding the different neurotransmitters and how they are crucial to managing depression and anxiety was a perfect introduction to the different foods I could take to support the neurotransmission. Thanks for checking out. Hope my article helps. Hope this help your daughter. Getting through exam can be very stressful. This is a great article full of lots of information I didn’t know, especially some of the foods good for anxiety and depression. As someone who has experienced depression and with children who also have the same issues, I will definitely be adding more of the good foods in to the diet. Awesome and thank you! I’m glad this list help you. 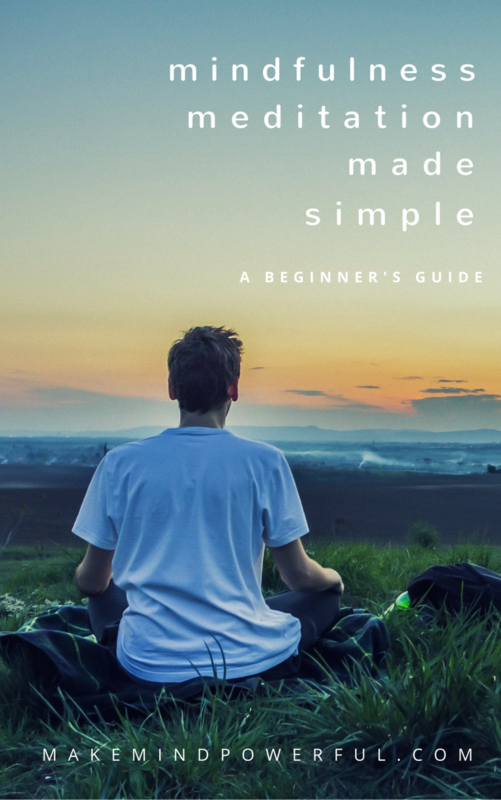 Hi, Kenny, great information that may help a lot of people out there not only stay healthy but also find natural foods as remedies to keep away from depression and anxiety. It is common problems in our global society today but alarmingly becomes top threat everywhere. This also helping me finding and getting info on natural foods to help to look after my health better. I’m glad you find this list helpful. I am one of the lucky ones that doesn’t suffer from depression or anxiety. however, i do enjoy the brain foods you have listed! they are very important types of meals for me and my diet. I encourage the message you are trying to get across and applaud what you are doing here! keep of the good work and thank you for the solid information! We should definitely continue to keep our brain healthy regardless of whether we are depressed or not. Thanks for checking out my article. It’s important to note only Dark chocolate works, the darker the better. Milk chocolate or white chocolate has very low level of mind boosting trytophan. The first thing I loved about this post is that it gave me permission to eat dark chocolate! 🙂 In all seriousness, I have heard time and time again that you can control aspects of your mental health simply by eating the right foods. However, I can honestly say that no one has taken the time to lay out what this would look like. I loved the list of foods as well as the explanation of benefits. This is great information and I really appreciate you sharing it! Thank you for loving my article. I’m a lover of dark chocolate too. Definitely a good way to keep our brain cells healthy. Hi! Wow! These are very helpful stuff here. I didn’t realize that these food could alleviate depression and anxiety. But I do consider chocolates to definitely help out in times of depression, but the dark chocolates are the best kind! It has a lot of other benefits as well! Thanks for checking out the article. Dark chocolate is great for our brain health. Thanks for linking to my salmon belly soup recipe! I’m glad to know that many of the foods listed here (with the exception of beef, oysters and turkey) to combat depression are what I often eat. Besides these foods, I also try to cut down on processed food and sugar. Thanks for your awesome picture. Cutting down processed food is great for our health even if we’re not suffering from anxiety. Thanks for checking out. Hope you cope well with depression.